PETALING JAYA: WCT Bhd is set to enter a new growth phase with its newly-acquired prime land in Kuala Lumpur, with analysts staying bullish on the prospects of the construction group. Maybank Investment Research said the acquisition would enhance WCT's bank-bank by 6%. “However, as the land is located in a highly-mature part of the Klang Valley, the development value is huge, projected at RM4bil. This would lift the total outstanding GDV (gross development value) for its Malaysian projects by 70% to RM9.7bil,” it said. The research house expects the development to achieve good demand, with earnings projected to start contributing to the group from 2014. On Wednesday, WCT entered into an agreement to acquire three parcels of land measuring 23ha in Overseas Union Garden, Kuala Lumpur, via the entire equity interest in Timor Barat Properties Sdn Bhd. The shareholders of Timor Barat are Eng Lian Entereprise, Shen & Sons and AMC. The land along Taman Yarl is planned for a mixed development. The acquisition price translates into RM180 per sq ft based on the purchase price of RM450mil. The conversion premium of RM15 per sq ft, which is pending, will be borne by the vendors. “We think this is fair for a prime piece of land in a mature neighbourhood. Timor Barat has also applied for a contiguous piece of land in the area and, if approved, will be acquired by WCT for RM150 per sq ft (freehold) and RM135 per sq ft (leasehold),” HwangDBS Vickers Research said. 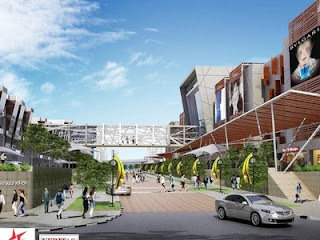 It said WCT would launch RM1bil worth of projects this year, after strong sales of RM457mil in 2011. “We remain confident WCT will achieve this, given its exposure to the resilient mid-end segment in mature locations such as Bandar Parklands, Klang and 1 Medini. 1 Medini is off to a good start, with 80% take-up of the RM150mil launch of Phase 1,” it said. Hong Leong Investment Bank Research said the acquisition would increase WCT's net debt and gearing to RM1.03bil and 0.7 times respectively, from RM579.8mil and 0.39 times at Dec 31, 2011. According to Hong Leong, the gearing level is considered high, but it is not overly concerned considering the strong cashflow from the company's new Taman Yarl project. “We are positive on the latest development as WCT is acquiring the land at a reasonable price, while the relatively established location of the land means the development can take off in a major way over a relatively short period of time,” it said.